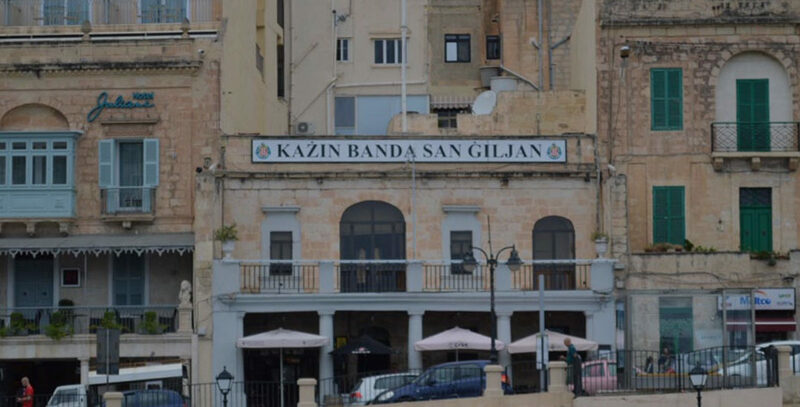 Over the years there have been numerous amendments to the Maltese laws on lease, the most recent being Act XXVII of 2018 relating to dwelling houses and commercial leases, with the exclusion of band clubs. Under contemporary civil law, The Reletting of Urban Property (Regulation) Ordinance, Chapter 69 of the Laws of Malta governs leases which were signed prior to 1st June 1995, as stipulated in Article 1531B of the Civil Code, Chapter 16 of the Laws of Malta. Prior to Chapter 69, various Acts were implemented into Maltese law in an attempt to solve the social housing problem then facing the country. Such measures have proved to be unbalanced to the detriment of property owners, causing human rights repercussions and leading to countless declarations of the European Court of Human Rights (ECtHR) in Strasbourg, finding Malta’s rent laws in breach the fundamental right to peaceful possession of one’s own property under Article 1 Protocol 1 of the European Convention on Human Rights (ECHR). On 8th February 2019, the First Hall Civil Court (Constitutional Jurisdiction) presided over by Chief Justice in Anna Galea et. Vs. L-Avukat Ġenerali et passed judgment on yet another Maltese case challenging the constitutionality of Malta’s rent laws. The St. Julians Band Club had for numerous years been paying the plaintiffs an annual rent of €100.16. Considering the location and value of the premises within the contemporary property market, this annual rent was deemed ridiculously low by the owners, and thus in violation of their right to property. In their application the landlords highlighted the fact that because such lease agreement was signed on 10th February 1927, some 92 years ago, Act I of 1925 applied. The owners further explained that the lease to which their property was still subjected was today regulated by Chapter 69, which inter alia obliges a lessor to perpetually renew the lease under the same conditions originally contracted, unless permission to terminate the lease or to alter its conditions is obtained by the Rent Regulation Board. Such a Board may indeed augment the annual rent, yet only to a certain point, since article 4 of the said law caps increases to a maximum of 40% of what would have a been a fair rent in 1914, that is over a century ago ! The increase afforded by the Conditions Regulating the Leases of Clubs Regulations (Subsidiary Legislation 16.13 – Legal Notice 195 of 2014) was nominal, from €100.16 per annum up to €1,007.34 per annum. Furthermore, Article 2 equates ‘clubs’ with a ‘shop’, and therefore as per Article 9(b) a request for repossession of a club cannot be brought forward by the landlord. Therefore, the plaintiffs could neither recover possession of their property, nor could they increase the rent to current market rates. This constituted a near total deprivation of their property and a serious violation of their right to property. The property was sold in the course of the proceedings. The price of €1,935,000.00 provided the court with solid impartial evidence of the actual value of the property, and thereby of its rental value. This placed before the court the stark contrast between the annual rent of €100.16, as augmented to €1,007.34 under the said Regulations (S.L. 16.13), and annual rentals the same property would have acquired on the open market had it not been shackled by protective rent laws soon after since being leased out in 1927. Ultimately, it can be said that the sale price was objectively indicative of what an unjust rent the defendant band club was paying for the property over the span of 91 years, something the court could not deny. Nevertheless, in its evaluation the court referred to the judgment Anthony Aquilina vs. Malta (App no. 3851/12, ECtHR) which sustained that the laws regulating lease may restrict the right of the owner to terminate the lease. This effectively falls within the ambit of Article 1 Protocol 1 paragraph 2 of the ECHR in terms of the “control [of] the use of property”. The ECtHR also confirmed that said control by the State is only justified if it is shown, inter alia, that it is in the general interest, and that a balance is created by the State when adopting measures being proportionate both in regard to the public interest and to the owner in the enjoyment of his property. The Court has previously held that rent control-schemes and restrictions of an applicant’s right to terminate a tenant’s lease constitute control of the use of property within the meaning of the second paragraph of Article 1 Protocol 1. The ECtHR examined whether the Maltese authorities observed the principle of lawfulness and pursued a “legitimate aim in the general interest” when implementing measures to control the use of property. It considered that the national authorities are, in principle, better placed than the international judge to appreciate what is in the “general” or “public” interest, particularly in terms of housing, but also in terms of complex social, economic and political issues. The ECtHR, in Aquilina vs. Malta, retained that a fair balance must be struck in the conflict between the rights of the community and those of the individual over the enjoyment of his property. Therefore, a degree of proportionality must be involved, as “[the] requisite balance will not be struck where the person concerned bears an individual and excessive burden”. The First Hall acknowledged the disparity borne by the owners in the return / enjoyment of their property, as opposed to what they would legitimately aspire to receive on the open market. However, it also recognised the social aspect of such clubs, and consequently of the need of State control over such properties. The court admitted that the augmentation of the rent from €100.16 to €1,007.34 per annum struck absolutely no balance between the general interest and that of the owners. This led to the court to conclude that the current laws in force imposed a disproportionate and excessive burden on the plaintiffs and that the State neglected to set the proper balance between their right to property and the general interest. The court awarded both moral and pecuniary damages to remedy the plaintiff’s loss. For the frustration and uncertainty suffered by the plaintiffs over the years the court awarded a token €15,000 in moral damages. Insofar as pecuniary damages are concerned the court took into consideration the actual current rental value of the property, set at €978,194, and the loss sustained. This notwithstanding the court granted only a fraction of such loss, reducing it to €300,000, or rather 1/6 of the value of the property and 1/3 of its rental value. In justifying this reduced compensation the court referred to Zammit and Attard Cassar vs. Malta (App. No. 1046/12) where it was held that pecuniary compensation need not reflect the entire value of the property on the free market, and a ‘reasonable amount of rent’ ought to suffice as compensation when the control exercised by the State is for a “legitimate purpose”. The court was of the opinion that the use of the property in question as a band club satisfied a social need and constituted a legitimate purpose justifying the State intervention in the form of the current protective rent laws. While the compensation awarded is substantial, the reasoning behind this judgement, particularly the motivation justifying the reduced remedy, may once again give rise to the perennial question as to the extent, if at all, to which the private citizen should shoulder the responsibility of social housing/community interests. Given that the actual loss was liquidated at just over €978,000, while the compensation awarded was of €300,000, the unrecovered difference will ultimately remain borne by the plaintiffs. It would appear that the court was of the opinion that the property owner should carry the bulk of the social burden – in this case 2/3’s. To many this may appear excessive given that it ultimately remains the duty of the State, and not the private individual, to cater for social needs. The motivation of the court for this large discrepancy appears to be rooted within the legitimate scope behind the protective rent laws. Those opposing such reasoning would argue that the owners’ dispossession of the property is considerable burden in itself, and that the real balance professed by the ECtHR calls for full compensation for such a deprivation, or rather that the effective loss of the property for a “legitimate social purpose” is best balanced out by full, not partial, compensation of rental losses. The judgement is currently under appeal.